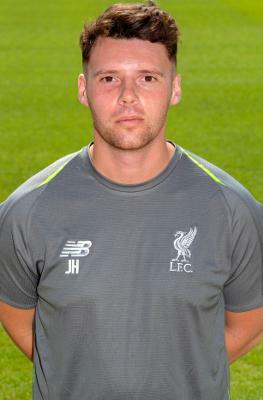 John Hill arrived at the Kirkby Academy in July 2018 as the U18s fitness coach. John previously worked in Scotland at Hearts between 2010 to 2017 and then at MK Dons in 2017, before making the move to Merseyside. He is an accredited sport scientist with the British Association of Sport and Exercise Science (BASES), and also an accredited strength and conditioning with United Kingdom Strength & Conditioning Association (UKSCA). John also achieved a BSc (Hons) Sport and Exercise Science at Aberystwyth University and MSc Strength & Conditioning at Edinburgh University. Speaking about his job in Kirkby, Hill said: "My role is to ensure the physical development of our U18s squad players. "I will be working closely with the coaching staff and medical department to ensure the training program develops robust players who are capable of long term progression at Liverpool FC. "It's a huge honour, I’m delighted to be at Liverpool and work for a club of this stature."